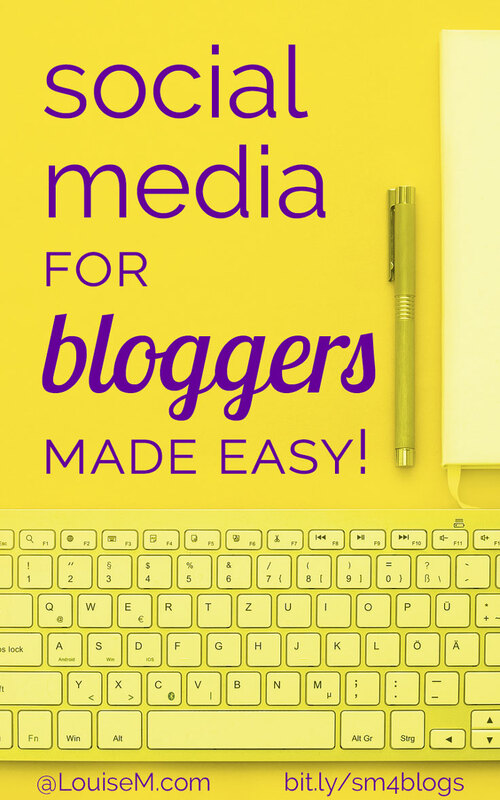 Social Media For Bloggers – This Is the Easy Button! 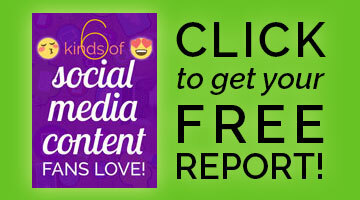 You are here: Home / Social Media Tips / Social Media For Bloggers: This Is the Easy Button! 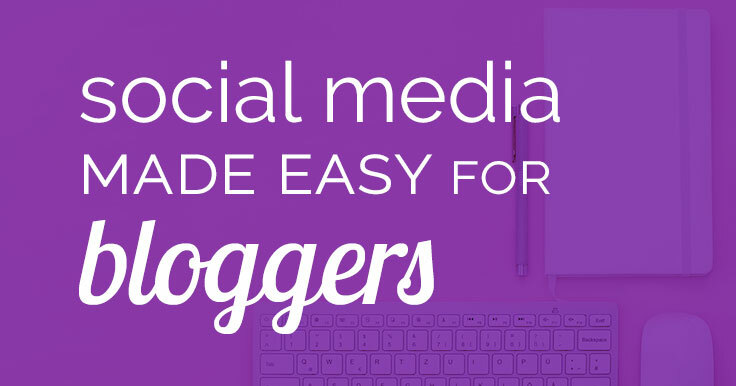 Social Media For Bloggers: This Is the Easy Button! 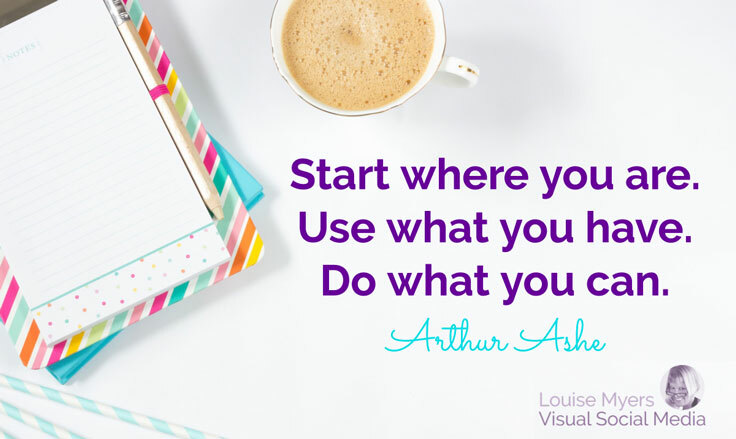 And when you’re done thinking, planning, writing, and creating blog images – you still have to promote your blog post! What if there was social media for bloggers that made the promotion part easy? Social media that practically posts itself? My friend, that social media is here, and it’s called Missinglettr. I’ve been using Missinglettr for 4 full months now. I signed up on April 1 and started using it immediately. As of July 31, I have 55 campaigns running. Right now I’m getting over 200 clicks to my website each week, by spending about 1/2 hour per week approving Missinglettr-generated social media campaigns. I think that’s awesome! If you do too, read on to learn how it works. Note: I’m a Missinglettr affiliate, which means I’ll get a commission if you purchase a plan. This costs you nothing, and helps fund my efforts to find and review the best tools to help you with your small business marketing. I’m really honest here, so read on… Note that your results will vary based on your content, engagement, and followers. First of all, if you don’t have a blog and don’t plan to, Missinglettr isn’t for you. The way Missinglettr works is by pulling in your blog’s RSS feed. Missinglettr sees when you’ve published a new blog post, and creates a social media campaign for you. Then, it sends you an email letting you know your campaign, of 9 posts over the next 12 months, is ready to review. Once you review, tweak, and approve the posts Missinglettr has created for you, your new blog post will be dripped out to your social media platforms over the next year. That includes Twitter, Facebook, LinkedIn, and Google+. NEW December 2017: and Pinterest too! Plus, if you have a Business or Small Team plan, you can have your new blog posts automatically published on Medium, with a canonical URL so it won’t hurt your site’s SEO. These guys have thought of everything. You can also manually add the URLs from old blog posts you want re-shared, and your opt-in and sales pages! Missinglettr will generate campaigns for those, too. Not only is your blog post not forgotten by next week, but Missinglettr also creates a variety of content for each blog post. And you know how important images are, I hope? Missinglettr pulls in the images you’ve posted on your blog, and also creates quote images from snippets of text it finds in the blog post. So you don’t have to create multiple images! Missinglettr makes them for you. NEW Fall 2017: Set up your branding, and Missinglettr will make perfectly branded visuals automatically. I love this feature! Branded quote image automatically generated by Missinglettr. These snippets of text also become different captions for the 9 different social media posts. You can cycle though them and choose your favorites. If you don’t like our initial suggestions, press the left or right arrows to load another one. For this blog post, we’ve created a total of 27 text and 25 image suggestions; so have fun choosing your favorites! Note, Missinglettr-created captions and images are not hand-curated! You (or your assistant) need to decide which ones work best. But the whole process takes 5 minutes, tops (once you’ve gotten used to the system). And you’ll have your blog post shared over the next year! In my opinion, it’s as easy, unique, and automated as you can get, while still having your personal touch and stamp of approval. Additionally, if all or most of your blog posts are breaking news, there’s probably no reason to drip them out over a year. Missinglettr will help you most, if most of your content is evergreen. UPDATE August 5, 2017: Time sensitive campaigns? Hello stop date! When your campaign is time sensitive, you can choose an optional stop date when approving it. Selecting a stop date will guarantee that no content for that campaign will be sent past that date, even if the campaign still has posts due to be sent. What a great added feature! Mostly evergreen content is still the best small business blogging strategy. If you have a news site, Missinglettr won’t help you as much. Here’s where to edit, delete, or approve Missinglettr posts. Third, if you only use Pinterest, Missinglettr isn’t the scheduler for you. While it can post to Pinterest now, the images it generates are the perfect size for Twitter, Facebook, LinkedIn, and Google+. Read this about scheduling to Pinterest. Missinglettr is a fairly new service. They keep improving and adding features, which is awesome. They’re very interested in customer suggestions, and responsive to feedback. In the past, I encountered a lot of bugs with Missinglettr. The good news is, they seem to be all worked out now! No bad news, just that I can’t promise you it’ll be error-free. Yet here I am still, after 4 months, with 55 social media campaigns scheduled. So yeah, I do like Missinglettr! It definitely shaves time off my social media scheduling. Missinglettr only promotes your blog posts. This is not a well-rounded social media strategy. However, if you’re not posting anything on social media, or you’re only sharing your new blogs once, this will be way better (aka more consistent) than that. For me, the optimal combination is Missinglettr for blog posts, and PromoRepublic for the more “social” content – the engaging, fun stuff. Missinglettr is a great first step into automated social media for bloggers. Post to Facebook, Pinterest, and Medium. Set different times for each social platform you connect. Set your own branding for image quotes! Choose which days of the week you want your campaign content to post. Block specific days from ever sending content (such as Christmas Day). Add or remove time slots for individual social accounts (enabling you to tell Missinglettr to only send 1 post to FB but 6 to Twitter). Calendar view that will let you view your schedule, move posts around, and even add individual posts to complement your campaign content. With all the upcoming features, I’m afraid they might raise the price! But you can lock in a very reasonable monthly rate right now. I may have given you a lot of negatives here! Yet as I said, I really like Missinglettr. I’ve stuck with it through a lot of issues (that are resolved now). And, I pay for my account. I’m not here because they gave me a free account and asked me to promote it. At first, I didn’t know if I ever could! I only share stuff that works and is a good value. Now more than ever, Missinglettr fits the bill! Sound good to you? I hope you’ll try it out! Missinglettr is the best social media for bloggers I’ve found. If you know of one better, do tell! Thank you) Great idea. I just started my blogging and I’ll try to promote it with Missinglettr. Thanks, Louise, very informative information. now I will create a blog then be using the Missinglettr. I will hope well. Wonderful to hear, Sagar. I’m sure you’ll enjoy it. Great article Pinterest seems to be help get more visual and more exposure . Your articles are so helpful . Thank You . I’m so glad you’re enjoying them, Lori! 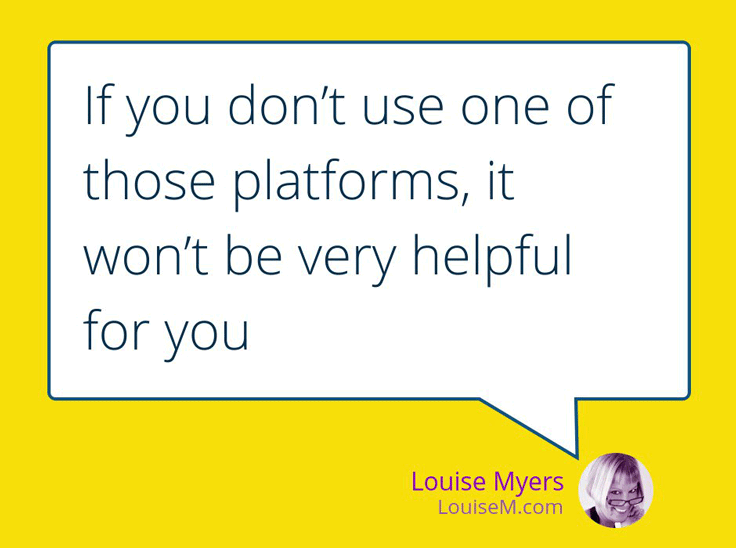 Hey Louise, we just launched SendPilot which automates social media marketing for small businesses – we offer much more accurate posts created using machine learning and natural language processing. This means we never cut snippets in half, and all of our posts are accurate and meaningful to get new customers engaged. I’m quite happy with MissingLettr. Unfortunately I can’t offer free reviews either.